This Energizing Smoothie Bowl is decadent enough to eat as a dessert, yet healthy enough to enjoy as a luxurious breakfast. It is full of healthy fats, including Omega 3s, and is high in protein and fiber to keep you full for hours. The real star here is the maca root powder. It is a wonderful adaptogen that can help balance hormones and fight fatigue. The Brazil nuts add a beneficial dose of selenium, which is essential for thyroid function and a strong immune system. There is no added sugar (the smoothie is sweetened only with berries), which when combined with the healthy fats, will avoid the dreaded sugar spike and crash. Feel free to adjust the ratio of ingredients to your desired taste. If you’d like it more chocolate-y, add extra cacao powder; If you’re craving just berries, leave the cacao powder out. 1) Combine all ingredients in a high-speed blender until smooth (see note). 2) For a breakfast smoothie bowl, pour into a bowl and top with granola and berries. 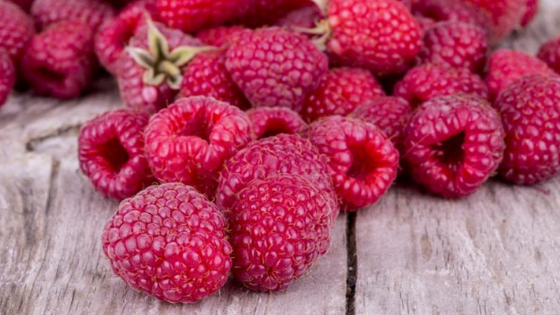 For a dessert, pour into a bowl and top with raspberries and cacao nibs. The mixture can also be frozen for an ice cream-like treat. Note: If you prefer a smoother consistency or if your blender doesn’t completely pulverize the raspberry seeds and nuts, you can put the mixture through a sieve before serving. 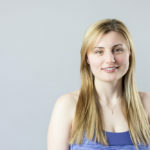 Krystle Colting is a fully certified STOTT Pilates Instructor and Certified Nutritional Practitioner (CNP). She holds an Honours B.A. Specialization in Visual Arts Studies and an Honours Minor in Dance from York University, Toronto, ON. Krystle brings exceptional knowledge and absolute compassion to everything she does. She believes that food and fitness should be fun, not intimidating, and feels that empowering her clients through knowledge is the best way to achieve optimal wellness. Have we moved you to find out more?